Raised in a prominent Viennese family, Ludwig Wittgenstein studied engineering in Germany and England, but became interested in the foundations of mathematics and pursued philosophical studies with Moore at Cambridge before entering the Austrian army during World War I. The notebooks he kept as a soldier became the basis for his Tractatus , which later earned him a doctorate and exerted a lasting influence on the philosophers of the Vienna circle. After giving away his inherited fortune, working as a village schoolteacher in Austria, and designing his sister’s Vienna home, Wittgenstein returned to Cambridge, where he developed a new conception of the philosophical task. His impassioned teaching during this period influenced a new generation of philosophers, who tried to capture it in The Blue and Brown Books (dictated 1933-35). From the late ‘thirties, Wittgenstein himself began writing the materials which would be published only after his death. In the cryptic Logische-Philosophische Abhandlung ( Tractatus Logico-Philosophicus ) (1922), the earlier Wittgenstein extended Russell‘s notion of logical analysis by describing a world composed of facts, pictured by thoughts, which are in turn expressed by the propositions of a logically structured language. On this view, atomic sentences express the basic data of sense experience, while the analytic propositions of logic and mathematics are merely formal tautologies. Anything else is literally nonsense, which Wittgenstein regarded as an attempt to speak about what cannot be said. Metaphysics and ethics, he supposed, transcend the limits of human language. Even the propositions of the Tractatus itself are of merely temporary use, like that of a ladder one can discard after having climbed up it: they serve only as useful reminders of the boundaries of our linguistic ability. This work provided the philosophical principles upon which the logical positivists relied in their development of a narrowly anti-metaphysical standpoint. But just as his theories began to transform twentieth-century philosophy, Wittgenstein himself became convinced that they were mistaken in demanding an excessive precision from human expressions. The work eventually published in the Philosophical Investigations (1953) pursued an different path. In ordinary language, he now supposed, the meaning of words is more loosely aligned with their use in a variety of particular “language games.” Direct reference is only one of many ways in which our linguistic activity may function, and the picturing of reality is often incidental to its success. Belief that language can perfectly capture reality is a kind of bewitchment, Wittgenstein now proposed. Thus, philosophy is properly a therapeutic activity, employed to relieve the puzzlement generated by (philosophical) misuses of ordinary language. In particular, the philosophical tradition erred in supposing that simple reports of subjective individual experience are primary sources for human knowledge. Efforts to employ a private language as expressions of interior mental states, for example, Wittgenstein argued to be an avoidable mistake that had caused great difficulties in the philosophy of mind. His views on this issue were a significant influence on Ryle and others. In his later work, Wittgenstein applied this method of analysis to philosophical problems related to epistemology, mathematics, and ethics. The direction of analytic philosophy in the twentieth century was altered not once but twice by the enigmatic Austrian-British philosopher Ludwig Wittgenstein. By his own philosophical work and through his influence on several generations of other thinkers, Wittgenstein transformed the nature of philosophical activity in the English-speaking world. 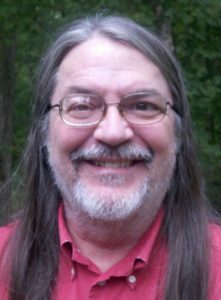 From two distinct approaches, he sought to show that traditional philosophical problems can be avoided entirely by application of an appropriate methodology, one that focuses on analysis of language. 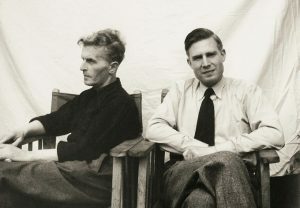 The “early” Wittgenstein worked closely with Russell and shared his conviction that the use of mathematical logic held great promise for an understanding of the world. In the tightly-structured declarations of the Logische-Philosophische Abhandlung ( Tractatus Logico-Philosophicus ) (1922), Wittgenstein tried to spell out precisely what a logically constructed language can (and cannot) be used to say. Its seven basic propositions simply state that language, thought, and reality share a common structure, fully expressible in logical terms. On Wittgenstein’s view, the world consists entirely of facts. (Tractatus 1.1) Human beings are aware of the facts by virtue of our mental representations or thoughts, which are most fruitfully understood as picturing the way things are. (Tractatus 2.1) These thoughts are, in turn, expressed in propostitions, whose form indicates the position of these facts within the nature of reality as a whole and whose content presents the truth-conditions under which they correspond to that reality. (Tractatus 4) Everything that is true—that is, all the facts that constitute the world—can in principle be expressed by atomic sentences. Imagine a comprehensive list of all the true sentences. They would picture all of the facts there are, and this would be an adequate representation of the world as a whole. The tautological expressions of logic occupy a special role in this language-scheme. Because they are true under all conditions whatsoever, tautologies are literally nonsense: they convey no information about what the facts truly are. But since they are true under all conditions whatsoever, tautologies reveal the underlying structure of all language, thought, and reality. (Tractatus 6.1) Thus, on Wittgenstein’s view, the most significant logical features of the world are not themselves additional facts about it. It was this carefully-delineated sense of what a logical language can properly express that influenced members of the Vienna Circle in their formulation of the principles of logical positivism. Wittgenstein himself supposed that there was nothing left for philosophers to do. True to this conviction, he abandoned the discipline for nearly a decade. By the time Wittgenstein returned to Cambridge in 1928, however, he had begun to question the truth of his earlier pronouncements. The problem with logical analysis is that it demands too much precision, both in the definition of words and in the representation of logical structure. In ordinary language, applications of a word often bear only a “family resemblance” to each other, and a variety of grammatical forms may be used to express the same basic thought. But under these conditions, Wittgenstein now realized, the hope of developing an ideal formal language that accurately pictures the world is not only impossibly difficult but also wrong-headed. During this fertile period, Wittgenstein published nothing, but worked through his new notions in classroom lectures. Students who witnessed these presentations tried to convey both the style and the content in their shared notes, which were later published as The Blue and Brown Books (1958).G.E. Moore also sat in on Wittgenstein’s lectures during the early thirties and later published a summary of his own copious notes. What appears in these partial records is the emergence of a new conception of philosophy. The picture theory of meaning and logical atomism are untenable, Wittgenstein now maintained, and there is no reason to hope that any better versions of these basic positions will ever come along. Claims to have achieved a correct, final analysis of language are invariably mistaken. Since philosophical problems arise from the intellectual bewilderment induced by the misuse of language, the only way to resolve them is to use examples from ordinary language to deflate the pretensions of traditional thought. The only legitimate role for philosophy, then, is as a kind of therapy—a remedy for the bewitchment of human thought by philosophical language. Careful attention to the actual usage of ordinary language should help avoid the conceptual confusions that give rise to traditional difficulties. On this conception of the philosophical enterprise, the vagueness of ordinary usage is not a problem to be eliminated but rather the source of linguistic riches. It is misleading even to attempt to fix the meaning of particular expressions by linking them referentially to things in the world. The meaning of a word or phrase or proposition is nothing other than the set of (informal) rules governing the use of the expression in actual life. Like the rules of a game, Wittgenstein argued, these rules for the use of ordinary language are neither right nor wrong, neither true nor false: they are merely useful for the particular applications in which we apply them. The members of any community—cost accountants, college students, or rap musicians, for example—develop ways of speaking that serve their needs as a group, and these constitute the language-game (Moore’s notes refer to the “system” of language) they employ. Human beings at large constitute a greater community within which similar, though more widely-shared, language-games get played. Although there is little to be said in general about language as a whole, therefore, it may often be fruitful to consider in detail the ways in which particular portions of the language are used. Even the fundamental truths of arithmetic, Wittgenstein now supposed, are nothing more than relatively stable ways of playing a particular language-game. This account rejects both logicist and intuitionist views of mathematics in favor of a normative conception of its use. 2 + 3 = 5 is nothing other than a way we have collectively decided to speak and write, a handy, shared language-game. The point once more is merely to clarify the way we use ordinary language about numbers. One application of the new analytic technique that Wittgenstein himself worked out appears in several connected sections of the posthumously-published Philosophical Investigations (1953). In discussions of the concept of “understanding,” traditional philosophers tended to suppose that the operation of the human mind involves the continuous operation of an inner or mental process of pure thinking. But Wittgenstein pointed out that if we did indeed have private inner experiences, it would be possible to represent them in a corresponding language. On detailed examination, however, he concluded that the very notion of such a private language is utterly nonsensical. If any of my experiences were entirely private, then the pain that I feel would surely be among them. Yet other people commonly are said to know when I am in pain. Indeed, Wittgenstein pointed out that I would never have learned the meaning of the word “pain” without the aid of other people, none of whom have access to the supposed private sensations of pain that I feel. For the word “pain” to have any meaning at all presupposes some sort of external verification, a set of criteria for its correct application, and they must be accessible to others as well as to myself. Thus, the traditional way of speaking about pain needs to be abandoned altogether. Notice that exactly the same kind of argument will work with respect to every other attempt to speak about our supposedly inner experiences. There is no systematic way to coordinate the use of words that express sensations of any kind with the actual sensations that are supposed to occur within myself and other agents. Wittgenstein proposed that we imagine that each human being carries a tiny box whose contents is observed only by its owner: even if we all agree to use the word “beetle” to refer to what is in the box, there is no way to establish a non-linguistic similarity between the contents of my own box and that of anyone else’s. Just so, the use of language for pains or other sensations can only be associated successfully with dispositions to behave in certain ways. Pain is whatever makes someone (including me) writhe and groan. Two generations of British philosophers joined with Wittgenstein by engaging in philosophical activity of the new sort. Although their individual interests differed, all shared the commitment to careful analysis of ordinary language and the confidence that this method would tend to dissolve traditional philosophical problems. Cambridge philosopher John Wisdom tempered Wittgensteinian emphasis on ordinary language with the common-sense approach of Moore. Thus, although he agreed that metaphysical and theological statements are technically non-sensical, Wisdom supposed that they may nevertheless play an important role in human life. In “Gods,” for example, he explored the functions and uses of religious language considered independently of its claims to truth about a supernatural deity. The early article “Philosophical Perplexity” indicated the direction of Wisdom’s analytic method. Although he acknowledged that the resolution of a philosophical problem involves only a recommendation for revisions in our linguistic usage, Wisdom maintained that even meaningless philosophical assertions can serve a positive function provided that they are not directly misleading. Assertions are bound to be misleading, he supposed, when they point out illusory similarities among expressions that have distinct functions. Thus, for example, it makes sense to doubt whether or not that really was Newt Gingrich I saw in the Atlanta airport on Friday, but an effort systematically to doubt whether or not there really is an external world is pointless and confusing. Even the most outrageously misleading philosophical questions, Wisdom held, may serve a valuable function in human life. Although they cannot be answered directly (as logical and empirical disputes can), these conflicts over the appropriate way to speak about the world may be resolved through creative decisions about ordinary language and its limits. Hence, the philosophical obsession with paradox and falsehood has its own unique value. In fact, Wisdom argued that philosophical and psychological analysis function similarly in this respect. Since philosophical puzzlement is often akin to a neurosis blocked from achieving its goal, the assertion of direct falsehoods may therefore have a beneficial effect. Even in cases about which we rightly despair of ultimate resolution, then, genuine progress may be possible in the steps we take in discovering more about the origins and extent of our puzzlement. Oxford philosopher Gilbert Ryle, on the other hand, took a more ambitious line in the application of conceptual analysis. Ryle argued in “Systematically Misleading Expressions” (1932) that philosophical analysis of ordinary language can clarify human thinking by eliminating inappropriate linguistic forms. Negative existential assertions, generalizations from experience, proper-name identifications, and referential descriptions, Ryle pointed out, all tend to be expressed in statements whose superficial grammatical form mistakenly engenders the hypostasization of non-existent objects of various sorts; the solution in each case is to substitute a less misleading statement. The proper function of philosophy is to map out the logical geography or our conceptual schemes. In The Concept of Mind (1949) Ryle offered an extended analysis of mental concepts, designed to show the utter absurdity of traditional mind-body dualism. Although traditional language divides the inner (mental and non-spatial) aspect of human life from the outer (bodily and spatial) aspect, he noted, efforts to describe the inner life invariably appeal to the language and models of bodily motion and interaction. Thus, for example, “I had a headache yesterday but it went away,” or “My mind is full of useless information.” The only way to speak about my supposedly private mental life is by drawing analogies to physical processes. What this reflects, on Ryle’s view is the category mistake of assimilating behavioral concepts to notions about mentality, the mistaken supposition that there must be a “ghost in the machine,” an intelligent inner pilot guiding the complex movements of the human body. But this Ryle argued, is like meeting Uncle Joe and Grandma and Mom while wondering where the family really is. Resolution of our conceptual difficulties in this regard, he supposed, lies not in the reduction of mental predicates to material ones, but rather a simple recognition that statements about perception, memory, belief, and other mental states are nothing more significant than a series of short-hand ways of describing human behavior of identifiable sorts. Cartesian dualism is an elaborate myth. Although less confident about the prospects of philosophical progress, J. L. Austin placed his emphasis even more exclusively on ordinary language. The very observation of linguistic behavior is itself a worthwhile activity, Austin believed, especially with regard to practical matters. We should usually assume that ordinary language embodies all of the practical distinctions that will prove useful in human life. The philosopher’s role is to clarify by investigating and cataloging the most commonly employed grammatical constructions. Thus, in “A Plea for Excuses” (1956), Austin himself patiently noted the complexities of our language about human actions that appear to be worthy of blame. The key distinction, he supposed, is between a justification, which denies that the performed action was wrong, and an exuse, which instead denies that the agent was responsible for performing it. Careful attention to particular cases of exculpatory speech, including precise word-order and varying emphasis, etymological studies, and the special function of adverbial qualifying phrases, are crucial to the task. Legal precendents and abnormal psychology may also be helpful in understanding why some efforts to excuse fail. In the last analysis, Austin supposed, excuses are properly seen as setting limits to the ascription of moral responsibility, by stating explicitly how they differ from the more usual cases. Another target of Austin’s discriminating analysis of ordinary language was the philosophical account of perception in terms of sense-data. Austin maintained that the traditional fuss over sensibilia turns out to be unnecessary once we notice that the argument from illusion fails to establish a genuine distinction between problematic and veracious instances of perceiving. Moreover, analysis of ordinary-language claims about knowing reveals (apart from artificial philosophical worries) no interest in or reliance upon experiential incorrigibility. Thus, debates over the supposed ontological status of the objects of our perception are simply pointless. In the William James lectures at Harvard—later published as How to Do Things with Words (1962)—Austin drew a series of careful distinctions between ways in which language functions in ordinary speech acts. Most particularly, he pointed out that performative utterances such as promising, pledging, or vowing accomplish their purposes without implying any referential representation of reality. These illocutionary acts, therefore, can never be true or false, although they may turn out to be relatively successful or unsuccessful. What Austin suggested is that language for intentional mental states—”I believe,” I know,” or “I suppose,” etc.—is illocutionary in its functions. Thus, first-person reports of such states are best understood as announcements of my intention to behave in certain ways, to “act as if” I believed, knew, etc. Even in application to logical theory, conceptual analyst P.F. Strawson proposed reliance upon attention to language rather than to formal logic, with its over-emphasis on truth and falsity. Thus, Strawson resisted positivistic efforts to provide pseudo-deductive foundations for empirical reasoning and dared to challenge the legitimacy of Russell‘s vaunted theory of descriptions. On Strawson’s view, Russell failed to distinguish between meaningful sentences on the one hand and their customary use to refer on the other, mistakenly supposing that all successful reference must either name or describe that to which it refers. In some cases (including the notorious, “The present king of France is bald.”) a sentence can be meaningful even though—because its customary reference fails—it is neither true nor false. As always, more careful attention to the context of ordinary language will avoid the philosophers’ muddles. In his later work, Strawson employed similar methods in pursuit of what he called “descriptive metaphysics,” an effort to report accurately the conceptual framework embodied in ordinary language without altering it through abstract speculation. (Just such a cautious procedure, Strawson supposed, underlies the philosophical work of Immanuel Kant.) Consider, for example, the ways in which particular things are identified through time in everyday speech. Since references to the spatio-temporal framework, Strawson argued, are necessary even for the re-identification of mental states, it follows that persons are irreducible unitary particulars, identifiable in space and time.